What online resources—for parents and for kids—can be useful in raising children with good bilingual ability? 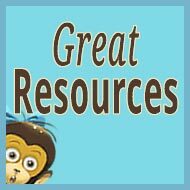 These posts include recommended links! 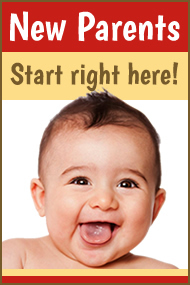 Want to strengthen your daily efforts, and your long-term success, at raising bilingual or multilingual children? The challenges at The Bilingual Zoo are designed to do just that by offering ideas and inspiration for a range of key actions that can produce very positive results. 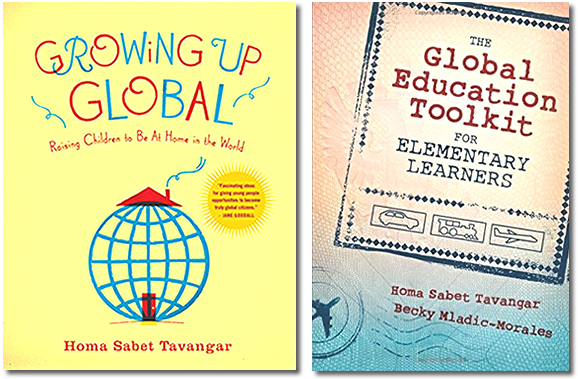 I hope to see you at The Bilingual Zoo, and I hope you find these challenges helpful and encouraging for your bilingual or multilingual goal! 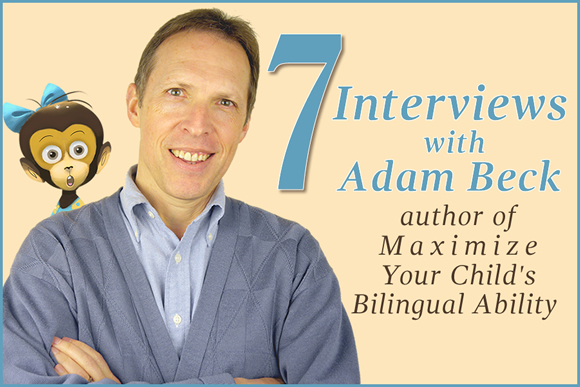 This post brings together seven interviews that I’ve given about raising bilingual and multilingual children (and other matters that may surprise you) through podcasts and video. 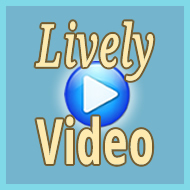 My kids interview me on video at Bilingual Monkeys! These, you see, are the very qualities needed to maximize success at raising bilingual children and they’re available to us all, in abundance, by pursuing this one simple action. But even when the payoff for just a little time and energy is so great, I suspect there are many parents who don’t really seize this opportunity. 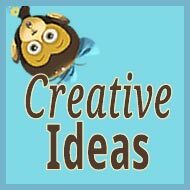 You simply sit down with your notebook or mobile phone or computer and quietly pour out your thoughts and feelings about raising bilingual children (in any language you prefer): your hopes and dreams, your ideas and plans, your challenges and struggles, your frustrations and disappointments, your successes and joys. You write about your bilingual journey, on an ongoing basis (let’s say at least once a week), throughout the childhood years. And if you do—in whatever form you choose—I guarantee that you will strengthen those key qualities I’ve described, which, in turn, will strengthen your children’s language development. Please don’t misunderstand—I’m not suggesting that you have to write about your bilingual journey in order to experience success and achieve the bilingual aim you hold for your children. But I think it’s fair to say that making a regular habit of writing about your experience has the potential to empower your daily efforts and enable your children to reach even greater heights of bilingual ability during childhood. 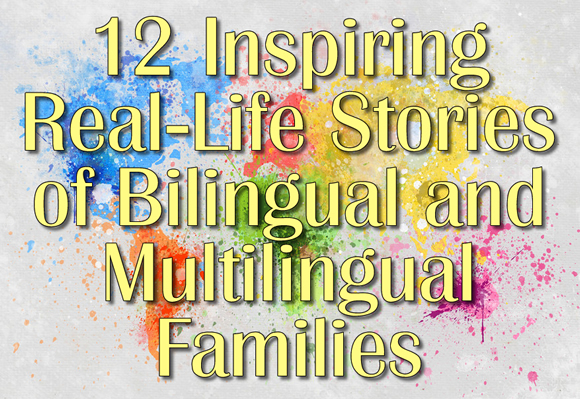 So today I’d like to point you to some specific examples of parents who are pursuing this very idea right now, and their commitment to regularly writing about their experience is clearly benefiting their bilingual or multilingual aim. In fact, their willingness to share their experience with the world, in real time, is also benefiting other parents as well, who can gain ideas and encouragement from their stories. 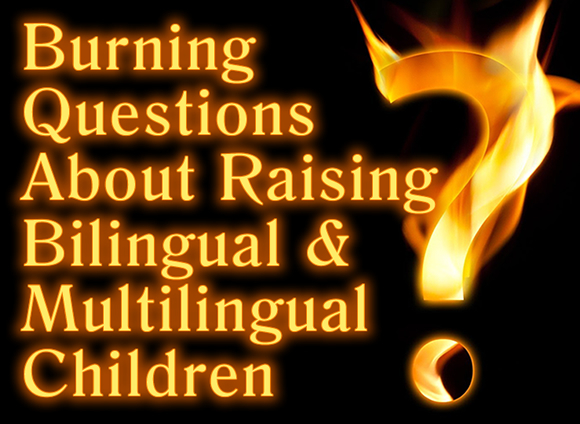 Questions about the process of raising bilingual and multilingual children—about approaches, tactics, resources, and many more aspects of this experience—are only natural. After all, this is a long journey, with continuous challenges, both large and small, and issues involving effective choices and productive efforts go to the heart of realizing greater success and joy over the childhood years. 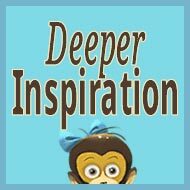 This is essentially why I began this blog, Bilingual Monkeys, in 2012: My hope, in sharing my experience of working with bilingual and multilingual children for over 20 years, as a teacher and parent, has been to help answer the range of questions that parents often have and thus provide encouraging guidance that can make a positive difference in their bilingual or multilingual journey with their kids. Among these 23 languages are Malay (#23, with 60.8 million first-language speakers), Persian (#22, with 61.9 million first-language speakers), and Italian (#21, with 63.4 million first-language speakers). 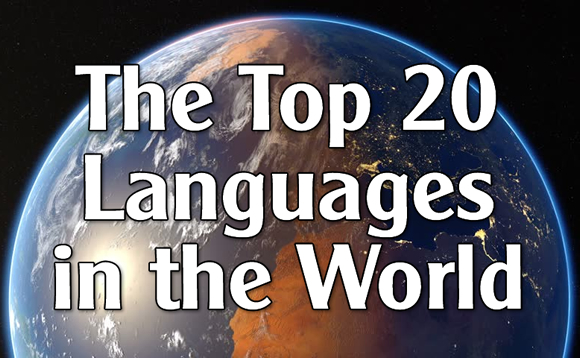 Below are the top 20 languages, by number of first-language speakers, ordered from #20 to #1. Make your best guess then click on the green “plus” sign to reveal each one. If you get a good score, feel free to boast in a comment below! 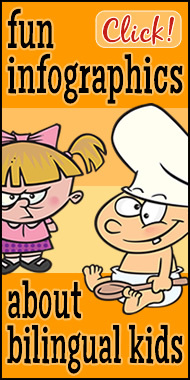 NOTE: This post begins with a description of our efforts to date to learn Spanish. 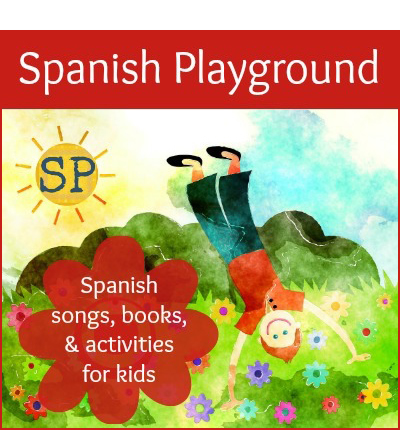 Then Jennifer Brunk, founder of the marvelous site Spanish Playground, kindly provides her expert advice by making a range of suggestions for strengthening our actions and our progress—suggestions that could be quite useful for other families, too. 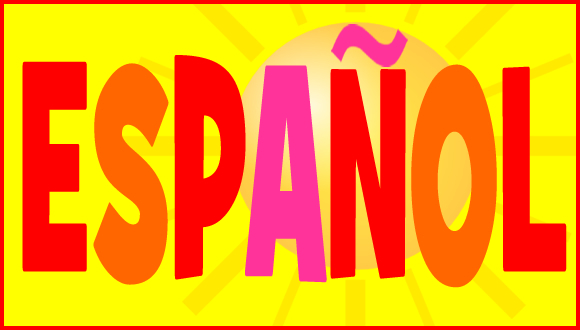 Finally, I would love to hear your suggestions as well so please feel free to leave a comment below with further ideas or resources for learning Spanish. Thank you! 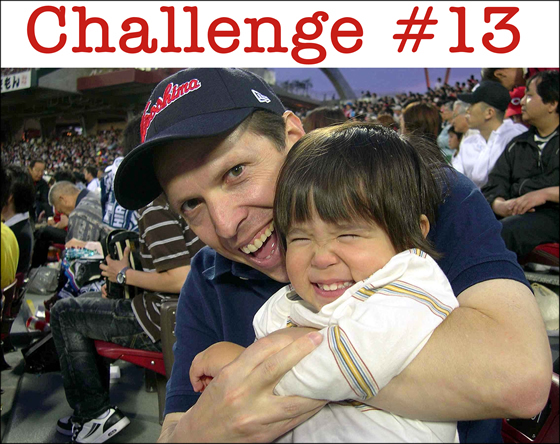 If you’ve been following this blog, you know that my children are currently 13 and 10 and that their majority language is Japanese and their minority language is English. At this point, their ability in each of these languages is comparable to their monolingual peers. In other words, they essentially have two native languages and can use both freely to communicate or to read and write. What you may not know—since I haven’t yet mentioned this much—is that my kids are now working on a third language, too…but the circumstances of this additional minority language, Spanish, are vastly different from their acquisition of English. While supporting their English side has been a huge priority for me ever since they were born, and my background as a native speaker and a longtime English teacher of bilingual children has helped me nurture satisfying progress in this language, I’m afraid I’m not doing nearly as well when it comes to Spanish. 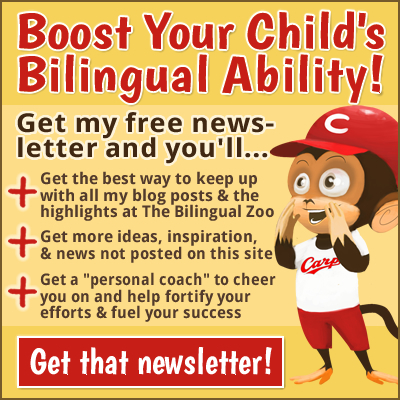 One of the most rewarding things about running The Bilingual Zoo, the friendly (and free) forum I opened in 2014, is the opportunity to follow the progress made by parents and children over time. It’s always a thrill for me when a thread begun by a parent, concerned over a child’s language development, is updated after six months or a year with happy news of stronger progress. This happens regularly, and the latest example is Stefania’s thread, which she updated the other day. 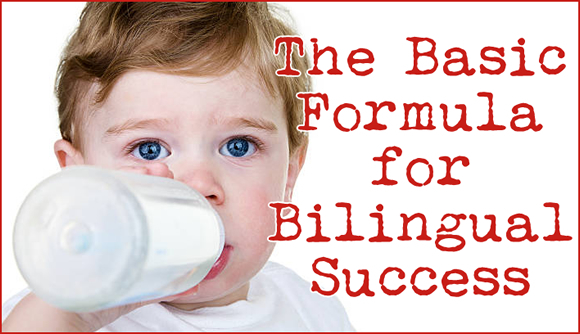 Not only are these successes gratifying to me personally, they also continually reaffirm for me, professionally, what I consider to be the basic formula for bilingual success. 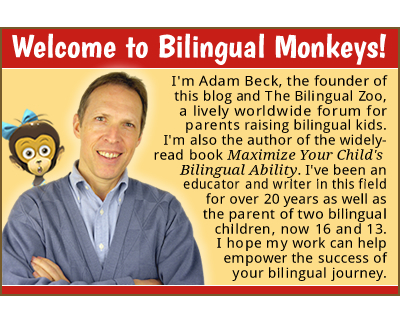 In July 2014, I opened the gates to The Bilingual Zoo, an online forum, so that the worldwide community which has grown around Bilingual Monkeys could actively provide mutual support and encouragement through their collective experiences and ideas. 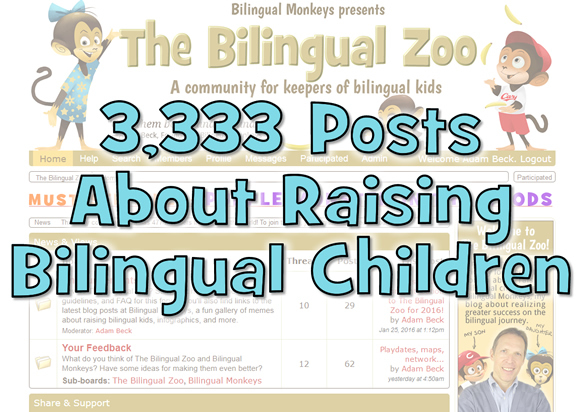 I’m happy to say that The Bilingual Zoo has since become a very friendly and lively site and a source of ongoing support for many “keepers” of bilingual kids as they navigate the challenges of their bilingual journey. Access to The Bilingual Zoo—including full membership—is free and will always be free because I want the site to be useful to everyone, regardless of personal circumstances. 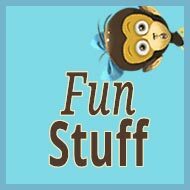 At the same time, since maintaining the site does cost money (with rising traffic, the amount in fees for the forum platform alone will probably approach $300 US this year), I encourage both members and regular visitors to make a modest annual contribution, if they can, to help ease this burden: The suggested donation—welcomed, but not required—is $12 US, an amount equal to just $1 a month. 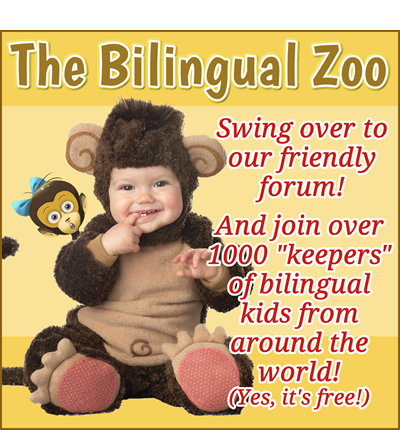 Click here to learn more about the benefits of membership in The Bilingual Zoo. Click here to make your small contribution to support The Bilingual Zoo. 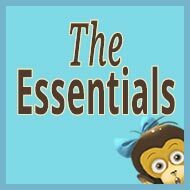 One of the most challenging aspects of raising a bilingual child is that parenting itself keeps us so busy it can be hard to find the time and energy to read books and blogs on a regular basis to continually stretch our knowledge of the subject and strengthen the effectiveness of our actions. If only there was some way we could continue to learn from others—other parents and professionals—while simply going about our daily routine of childcare, household chores, drives to the store, and commutes to work. Some friendly spirits, perhaps, that would whisper words of experience and encouragement into our weary ears, offering us ideas and inspiration for realizing even greater success on our bilingual journey. Well, thanks to Olena Centeno and Marianna Du Bosq, this isn’t just wishful thinking. 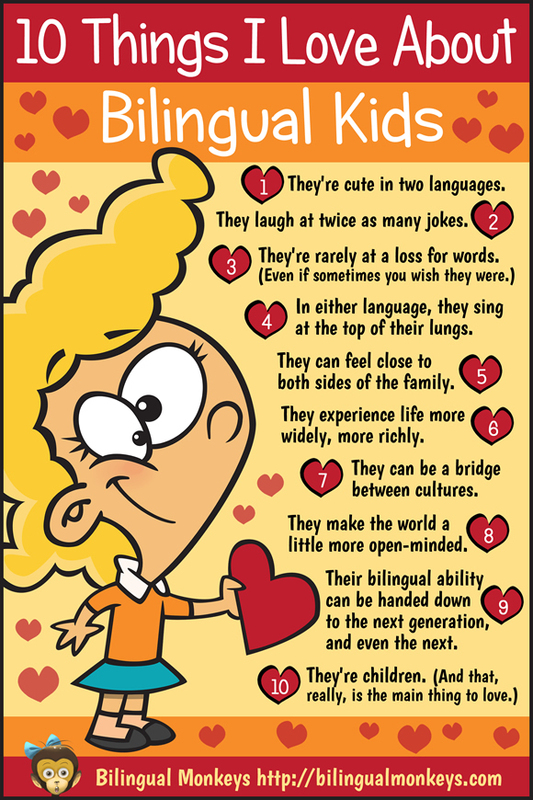 Because the focus of raising bilingual children is very often (and naturally enough) on the substantial challenges involved in this aim, I thought it would be nice to set all that aside for a moment and simply stress the things we love about having bilingual kids. 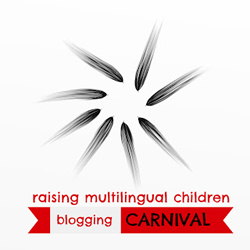 I say “we” because this post was prepared for the February edition of the Raising Multilingual Children Blogging Carnival, maintained by Annabelle at The PiriPiri Lexicon, and shares posts made by other bloggers, too, on this same theme. 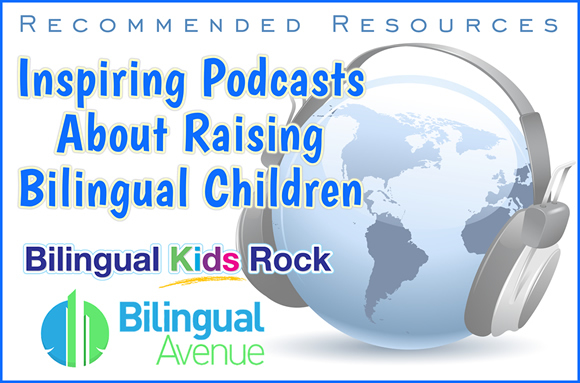 While reminders of the happy, positive side of raising bilingual children are important year-round, spotlighting the things we love about multilingual kids is a natural fit for Valentine’s Day.